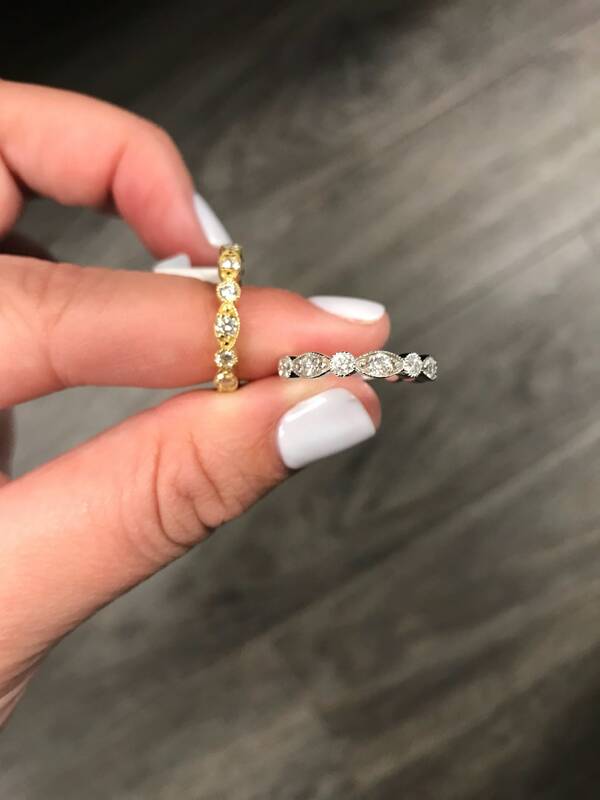 This diamond ring can be stacked or worn solo. It has an Art Deco vintage feel with the miligraine edge around the diamonds. The ring contains 0.55ctw of good quality natural round diamonds. The design goes 3/4 around with a plain gold bar at the bottom for sizing. It goes between 2.8mm to 3.4mm in width. Available in white gold, Yellow or rose Gold.